Friend or loved one just got arrested? Don’t know what to do next? Call 702-462-9200 for answers. Our friendly staff will make you feel comfortable by walking you through the Bail Bond process and explaining all your options. eBAIL is the only Bail Company that guarantees financing. Even zero money down Bail Bonds are available. Our great location is not only beautiful but also conveniently located just minutes to the Henderson and North Las Vegas Courts. eBAIL’s beautiful office is on 3100 E. Charleston Suite 108, right off the 95 Freeway. 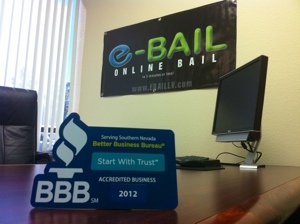 eBAIL is a NV Department of Insurance licensed and BBB accredited Bail Bond Company in Las Vegas. 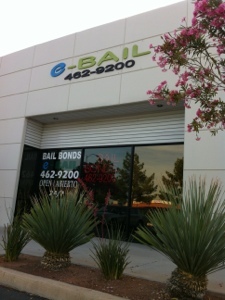 eBAIL is also authorized by the Courts in Las Vegas, North Las Vegas and Henderson to post Bail Bonds at its facilities. In your time of need for bail bonds in the Las Vegas area don’t just gamble on any bail company that might be in a run down office in a scary part of downtown. Visit our beautiful office or make it even easier by going to our company website here for Online Bail Bonds in Las Vegas in 3 minutes or less. For immediate attention and questions regarding bail bonds 24 hours a day call our friendly staff at 702-462-9200. You will be happy that you chose eBAIL for your bail needs, guaranteed! 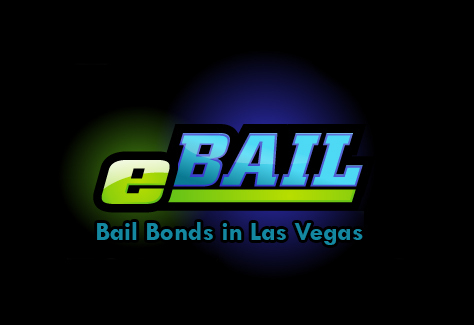 eBAIL serves the greater Las Vegas valley including North Las Vegas, Green Valley, Henderson, Summerlin, Spring Valley and all the other States as well.